Hackintosh5 reclaimed D226: We don't need spotbugs on the tests since they aren't used in production..
Hackintosh5 commandeered D226: We don't need spotbugs on the tests since they aren't used in production..
Hackintosh5 accepted D237: Fix split error. Tested by manually setting localStorage.blockedUsers = "", now it works. Hackintosh5 triaged T343: Firefox clients cannot use WildFyre as Unbreak Now! priority. Hackintosh5 added a comment to T200: Unknown User Interface. And IMO the anonymous token should not be a token but a username/password combo that's only usable on /anonymous endpoints, and you don't register an anonymous account but change the username and password to a new one. Hackintosh5 created D227: Downgrade SpotBugs to remove deprecation warning. Hackintosh5 created D226: We don't need spotbugs on the tests since they aren't used in production..
Hackintosh5 added a comment to D222: Fix missing minimal-json is exported JAR. Hackintosh5 created D225: Fix minimal-json JAR not being included..
Hackintosh5 added a comment to T331: Kotlin-based projects cannot use libwf-java. Hackintosh5 added a comment to D224: Fix unit tester. 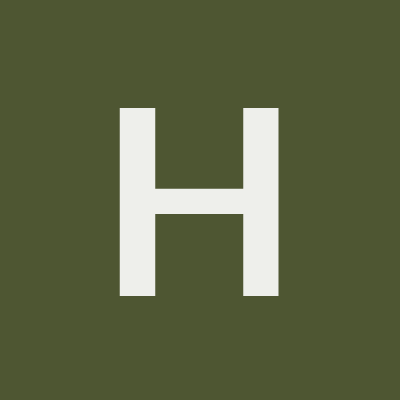 Hackintosh5 added a comment to D223: Update gradle wrapper and fix dependencies. Fixes T331..
Hackintosh5 created D224: Fix unit tester. Hackintosh5 added inline comments to D223: Update gradle wrapper and fix dependencies. Fixes T331..
Hackintosh5 added a task to D223: Update gradle wrapper and fix dependencies. Fixes T331. : T331: Kotlin-based projects cannot use libwf-java. Hackintosh5 added a revision to T331: Kotlin-based projects cannot use libwf-java: D223: Update gradle wrapper and fix dependencies. Fixes T331..
Hackintosh5 created D223: Update gradle wrapper and fix dependencies. Fixes T331..
Hackintosh5 triaged T331: Kotlin-based projects cannot use libwf-java as Unbreak Now! priority. Hackintosh5 abandoned D217: Update gradle wrapper. Hackintosh5 triaged T330: Use error codes in the API, rather than error messages as High priority. Hackintosh5 abandoned D211: Fix test password. Hackintosh5 requested changes to D222: Fix missing minimal-json is exported JAR. Hackintosh5 accepted D220: Updating server API. Hackintosh5 added a comment to T328: Add a code coverage tool. Hackintosh5 added a comment to D218: Add arc unit engine for gradle. Hackintosh5 updated the diff for D218: Add arc unit engine for gradle. Hackintosh5 removed a task from D214: Convert WildFyre.java to Kotlin: T272: Convert API to Kotlin. Hackintosh5 removed a revision from T272: Convert API to Kotlin: D214: Convert WildFyre.java to Kotlin. Hackintosh5 added a revision to T272: Convert API to Kotlin: D214: Convert WildFyre.java to Kotlin. Hackintosh5 updated the summary of D214: Convert WildFyre.java to Kotlin. Hackintosh5 added a comment to D214: Convert WildFyre.java to Kotlin. Hackintosh5 added inline comments to D218: Add arc unit engine for gradle. Hackintosh5 added a comment to D213: Fix for Ubuntu 18.04. @CLOVIS why have you rejected this? I didn't so far, I just added myself as a reviewer. Are you sure this change works everywhere? Hackintosh5 added a comment to D219: Increase test timeout to prevent occasional failures. Hackintosh5 created D219: Increase test timeout to prevent occasional failures. Hackintosh5 added a comment to T265: Unable to login with provided credentials. Uff. No-one wants to parse a string JSON, how about an error code? Hackintosh5 added reviewers for D213: Fix for Ubuntu 18.04: CLOVIS, WyldBot. Hackintosh5 removed reviewers for D213: Fix for Ubuntu 18.04: CLOVIS, WyldBot. Hackintosh5 updated the diff for D214: Convert WildFyre.java to Kotlin. Hackintosh5 added a comment to D216: Fix compilation for users without nexus authentication. Hackintosh5 updated the diff for D216: Fix compilation for users without nexus authentication. Hackintosh5 created D218: Add arc unit engine for gradle. Hackintosh5 added a revision to T315: Better unit tests for Phabricator: D218: Add arc unit engine for gradle. Hackintosh5 created D217: Update gradle wrapper. Hackintosh5 created D216: Fix compilation for users without nexus authentication. Hackintosh5 updated the diff for D215: Add test for WildFyre.kt. Hackintosh5 created D215: Add test for WildFyre.kt. Hackintosh5 created D214: Convert WildFyre.java to Kotlin. Hackintosh5 created D213: Fix for Ubuntu 18.04. Hackintosh5 claimed T329: Minimal-json is missing from the archive. Hackintosh5 added a comment to D211: Fix test password. Hackintosh5 created D211: Fix test password.